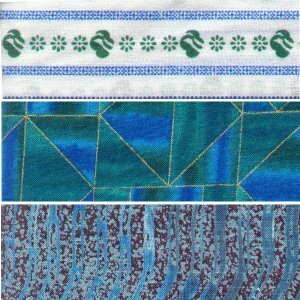 I bought co-ordinating fabrics and tried out a new interlocking design. The design worked out very easily ... however, my choice of fabrics was less than sterling; there wasn't enough contrast. This was dramatically brought out when, upon assembling the blocks, the interlocking design was virtually lost. But seeing as I had, once again, procrastinated, there wasn't enough time to buy other fabric and resew the blocks. Therefore ... onward with the quilt construction. 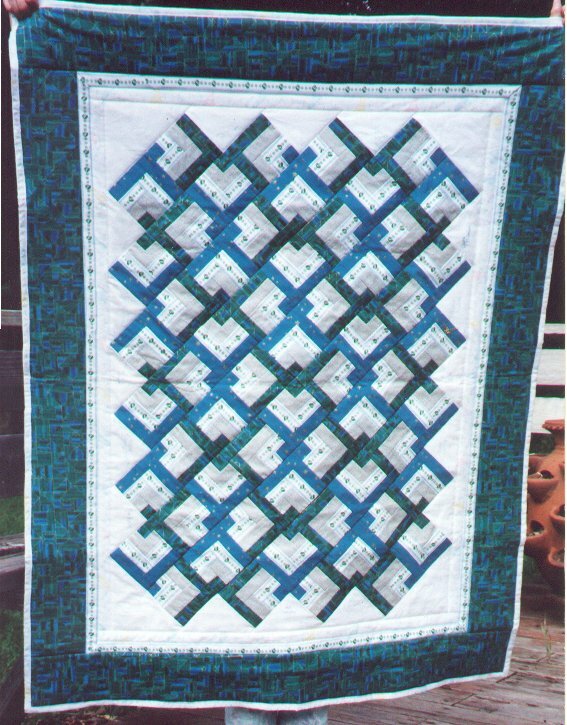 This is one of the quilts where I don't have too many samples left. The top fabric is the official Girl Scout fabric (at the time I made the quilt ... it has since changed. Below, are two of the greens that were used.